In 2011, I was given a Priesthood blessing that promised I would be able to stay home with my children, my only true desire. I held onto that promise. I was pregnant at the time of the blessing and Jared had started his own flight school in Spanish Fork, Utah. A few months later, Max, our second son was born in June. However, financially, we knew that winter time was coming and there was less opportunity to fly, therefore a decrease in income. An option was decided that I would work. 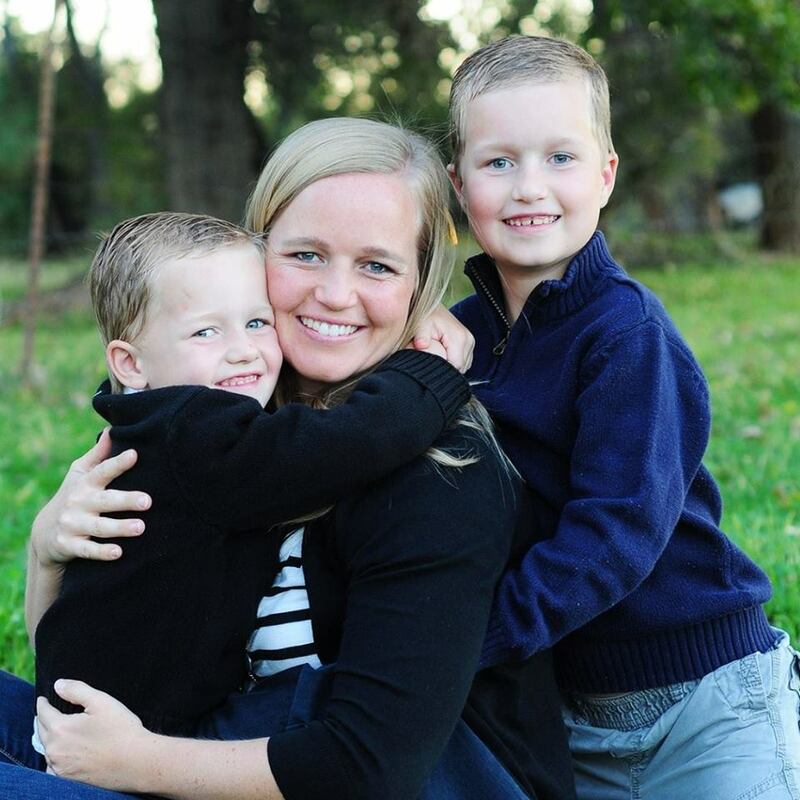 In my heart, I still held to the promise of the priesthood blessing that I would be a stay at home mom, even though on the outside, it was going contrary. I applied for jobs and accepted a job as a certified Nurse’s aide, which I just had become certified as. I had a 3-month-old and a 3-year-old at the time. On Oct 4th, I received a phone call that Jared had been in an accident and had passed away. Here I was, a 29 year old with 2 small children, ages 3 and 3 months, and with very little money. From the moment that Jared died, Christ was at my side for a while, giving me strength and support to face the things I needed to. But, over time, the shock wore off. I was left here on earth and my husband in heaven. My world was changed in an instant. The grief of his separation was intense. There were many times it was too unbearable that I would cry out to Christ and in and at that instant that I prayed, the deep pain and sorrow was taken from me. I felt nothing, no pain. Then the next day, the pain would slowly come back again and gradually become heavier and heavier until I couldn’t bear it and would plead again and the pain would be taken from me. Christ was literally carrying my pain. This happened for a long time, months. My pain was deep and heavy. I cannot imagine what the Savior suffered. I soon thereafter, a month after his death, moved to St. George where most of my family is. Day-to-day survival is the only word I can describe this time period. Christ comforted me with dreams and with angels who would come. On one such occasion, I was feeling rejected and alone in carrying my burdens. It had been too long since heaven had been close; I was feeling like the Lord had rejected me. It was late at night. It was during the hardest time. I plead with heaven to come. I wasn’t sleeping those nights, still nursing my son. I prayed for His love and quickly fell into a deep, much needed sleep. It was only about 5 hours of sleep. In a small moment of dreaming, I saw myself in heaven, being hugged tightly by the Savior. Christ’s face was toward mine and he was weeping with me as he hugged me so tightly. I felt my heart burn with his love for the next 3 days. It did not leave me. The feeling of being in His arms is one of complete and total love. It fills your whole heart to where there isn’t room in your soul to have any other feelings besides His love. He truly does know what is in the very depths of our hearts. His love can fill us and make our hearts whole. After that, I knew that I wasn’t alone. He was carrying me through all of it. I also knew that heaven’s veil is thin. I felt this as the angels would come and strengthen me and bring me comfort from heaven. One of the beautiful hardships I have faced is in going back to school. I wanted to be a nurse. Here I was given the opportunity to provide for my family, to climb my own mountain, and conquer my fears. And this scared me. I felt so inadequate and wondered if I could do it. I felt that this career choice was my life calling and it correlated to my patriarchal blessing in that it says that I will live and teach as the Savior did. But, how could I do it? 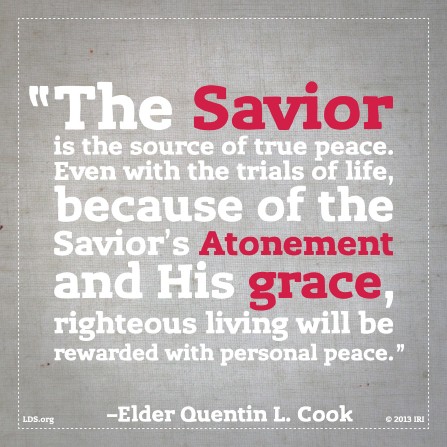 How could I trust the Savior to help me? I started taking classes three months after his death. I felt Jared helping me. He would come and give me support and encouragement in spirit. My burden was heavy during this time. I remember doing all I could. I got to the testing center and sat down at the desk. Before I opened the test, I said a pleading, short, heartfelt prayer asking for help. As I was taking the test, his lecture and things I had studied had come to mind and I could feel angels around me. I could feel the answers that weren’t right and when I’d think it through, peace would come as I chose the right answer. I thanked Heavenly Father after the test. I received the highest score in the class on that test. Heavenly Father continued to bless me as I put my trust in Him, did what he asked me to, and moved forward in faith. I struggled with the reason for Jared’s death. The detailed answer of why he passed early never came. When I visited Jared’s grave, 8 months later, I was told that his mission in this life was done. I had to be okay with not knowing the why, getting all of the answers in the detail I wanted. I just had to trust that if Heavenly Father allowed it, then it had to be okay. Not only have I been influenced by Jared, but so have our two boys, Sam and Max. They have also felt their father many times in their hearts. On one of the first days of kindergarten, I had to leave Sam, who gets nervous and anxious easily, at school by himself. I attended a college class in the morning. I rushed off with a prayer in my heart, leaving Sam behind crying and nervous. When I came to pick him up, I could tell there was a confidence, happiness, peace, and strength in his countenance. He later told me that his dad, Jesus, and Heavenly were in his heart. This happens quite often. Jared will continue to be with them, which is a comfort. Through priesthood blessings, it has been promised that he will remain with them throughout their life. I am currently in the nursing program, in the second semester and am conquering my fears. I’m being continuously blessed as I trust in Heavenly Father. Author Laura Despain, 34, mother of two active boys, lives in St. George, Utah. Raised here, she graduated with her associates degree in 2006 and is currently pursuing a nursing degree. She was a co-chair for the LDS widows and widower’s conference in St. George in 2017. She loves to journal write, travel, run, and laugh. My Blessing is the Wrong Color! This entry was posted in Blessings, Courage, Faith and tagged Blessings, Faith, motherhood, Priesthood on March 5, 2017 by Latter-day Saint Women Stand. Thank you for sharing your refining experience with us. Thanks for sharing your testimony and faith Laura. That was very touching. I pray that heaven continues to stay near you and your sons. May the healing balm of the atonement bless and strengthen you until that glorious appointed time when your family is reunited. May God bless you always my dear sister. Laura, I don’t know you, but I went to high school with Jared and always thought he was such a sweet guy. I was so shocked when he passed away. Thank you for sharing these beautiful words. I, too, am a nurse. Nursing school was one of the hardest things I’ve ever done, but it was so worth it. I absolutely love my job. I wish you luck in school and hope you will find even greater peace as you spend your life caring for others.